Stoneboat (issue 7.1, Fall 2016), which is print only. 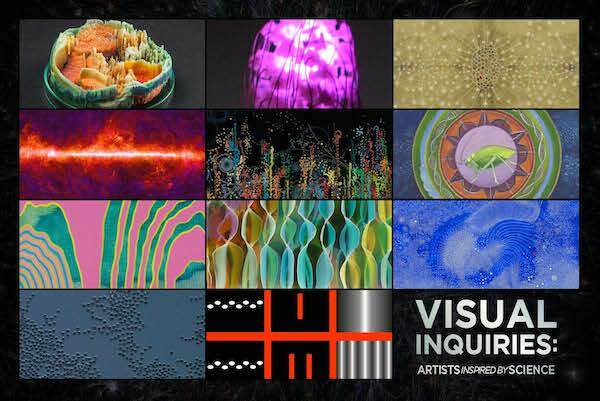 Several of my paintings and drawings will be in the exhibition Visual Inquiries: Artists Inspired by Science, curated by Daniel Hill. Peter Fingesten Gallery at Pace University, 9 Spruce Street, New York, NY 10038. For information, please contact finearts@pace.edu / 212-346-1397, ext. 11397. Viewing hours: Mondays 12:30–4:30 pm, Tuesdays 12–5 pm, Thursdays 12:30–5 pm, and by appointment (dhill@pace.edu). In an exhibition about the Gowanus canal, I made two site-specific drawing installations, which span several irregularly shaped walls and the ceiling. **UPDATE: The exhibition has been extended through Friday 10/28 for visits by appointment: trestleprojects@gmail.com; 917-923-8096. Opening Saturday, October 1, 7–9 pm; on view October 1–22, 2016. The gallery will be open during Gowanus Open Studios: Saturday and Sunday, October 15 & 16, 12–6 pm. The myriad events of Bushwick Open Studios (BOS) will take place from September 30 through October 2, 2016. My studio will be open to visitors October 1 and 2, 12–6 pm. My painting WGS5 (seen above) was selected for a pre-sale auction on Paddle8 to benefit Arts in Bushwick, the organizing entity behind BOS. Bidding closes on Friday, September 30, at 5 pm EDT. My work AWGP:mbrhd is included in the exhibition “The Retrieval of the Beautiful,” on view at The Painting Center, 547 West 27th Street, Suite 500, New York, NY, 10001, from June 21 through July 16, 2016. The opening reception is Thursday, June 23, 2016, 6–8 pm. I recently organized the online exhibition “Lineage” about the role of past artists, artworks, and eras as sources that inspire, motivate, and challenge contemporary artists. One of my paintings has been turned into a billboard in Los Angeles, as part of THE BILLBOARD CREATIVE Q4 2015 SHOW, on view through December 27, 2015! Billboard location [LINK for image and map]: Yucca Street, east of Wilcox, north side, facing east. 1) The KENTLER FLATFILES Holiday Sale & Fundraiser is Saturday, December 12, 12–5 pm. Six of my recent works on paper are now available. 2) Until December 20, Lorimoto is having a holiday salon, with more than 300 works available for $300 or less, including one of my postcard-size paintings. Gallery hours: Saturday–Sunday, 1–6 pm. 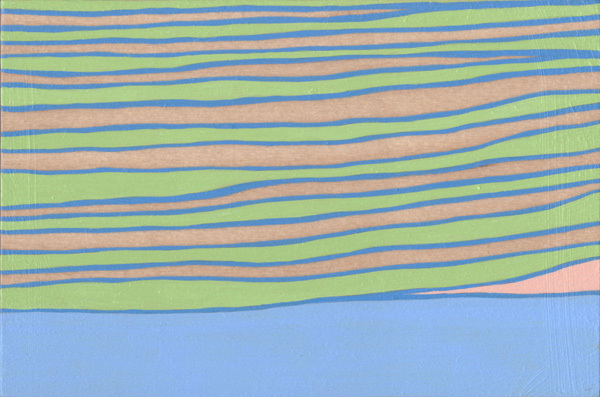 L train to Halsey St.
3) Five images of my paintings have been included in the Fall 2015 edition of Yew, an online journal of writing and images, paired with the poetry of Maria Stamatakis. As part of the 9th annual Bushwick Open Studios weekend, the door to the studios of Sara Eichner and Deanna Lee will be open this Saturday and Sunday, June 6–7, 12–6 pm. My site-specific drawing made for the 6th annual Bay Ridge SAW is now on view at Hair Culture, 7910 5th Avenue, Brooklyn NY 11209. Images of the installation can be seen here. The Brooklyn Daily Eagle wrote a feature on the Bay Ridge SAW. In a few weeks, I’ll be making a site-specific drawing in the storefront window of Hair Culture, a hair salon, for the 2015 edition of the SAW. Jonathan Goodman’s review of Echo Lineation has been published in Art Critical! My large painting, AWGP: blgnpbspr, and my site-specific drawing installation, Amateur Archaeology: The Bend, will remain on view in the back room of Robert Henry Contemporary through March 8, 2015. Gallery Hours: Thurs–Sun 1–6 pm and by appt. Some images of my works were included in these art blogs: Anne Russinof’s Gallery Travels and Michael Sorgatz’s Art in Brooklyn. My solo exhibition at Robert Henry Contemporary will close on January 25. Only a few more days to view the works in person! Gallery hours are Thursday–Sunday, 1–6 pm, and by appointment. I’ll be at the gallery often during this final week, so please let me know if you’d like to meet there. Thanks to all who have already visited the show! My cut-paper multiple Cloud can be purchased at the gallery and HERE.